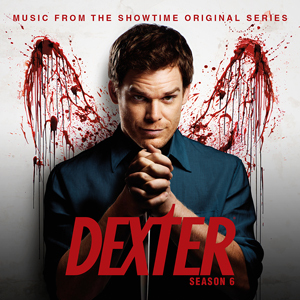 The show remains one of the most popular ones on television worldwide and this new album features some of the best music used throughout Season 6. Fans will discover an extended version of the iconic Dexter main theme produced by composer Rolfe Kent, a selection of songs by Iggy Pop, War and Milenio Flow. The album will also feature the exciting score by series veteran composer Daniel Licht and a new recording of his famous Blood Theme - which also receives a remix treatment, by DJ/Producer Alaska in Winter. The album ends with an upbeat house remix of the Dexter main title theme by producing team, the Ice Trucker. 5/5 Who does not love Dexter, period!